Experience a great war game, combining real-time strategy, tower defense, resource control and simulation gaming into a single mobile experience! 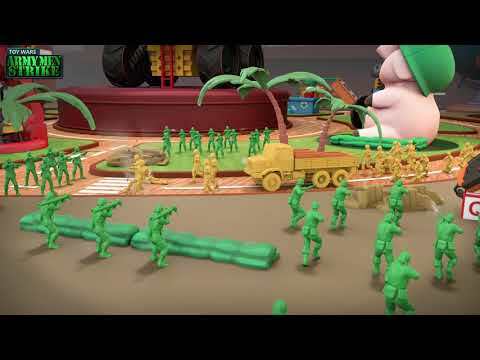 Recruit your toy soldiers, build fortifications and compete for territory and glory. • Patience and strategy are key to each battle. Build and deploy your troops wisely. • With a good strategy, you can defeat any enemy! Thanks to your support, we’re now sharing the happiness and joy of toy games with millions of players all over the world! by PALADIN DIGITAL CO., LTD.